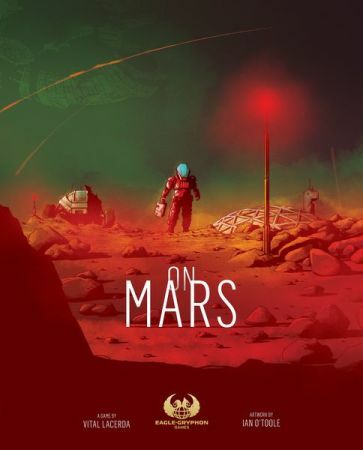 The Portuguese designer Vital Lacerda, known for titles such as Vinhos, Lisboa, and CO₂, is working on a game named On Mars. Read about it here. 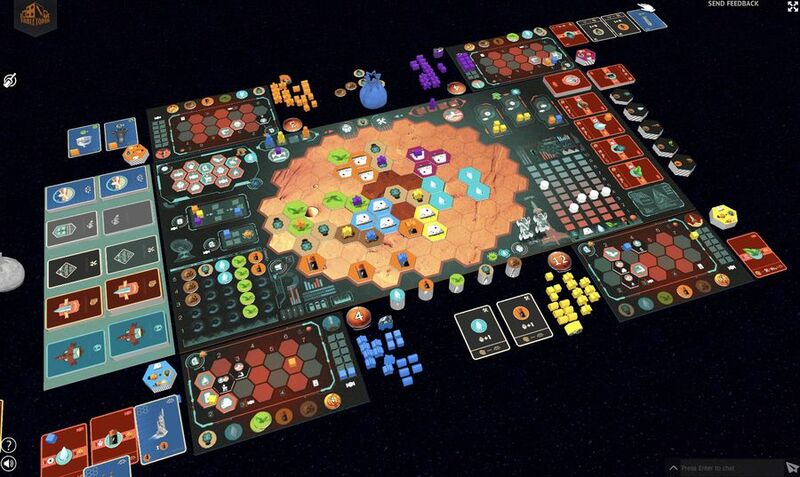 Players decide which OMDE goals will be part of the game, how the new settlers from earth will be distributed through the different colonies, and which community buildings and materials Earth needs to authorize and provide. Players will have available to everyone a limited set of actions they can take in their turn and the raw materials sent from Earth. 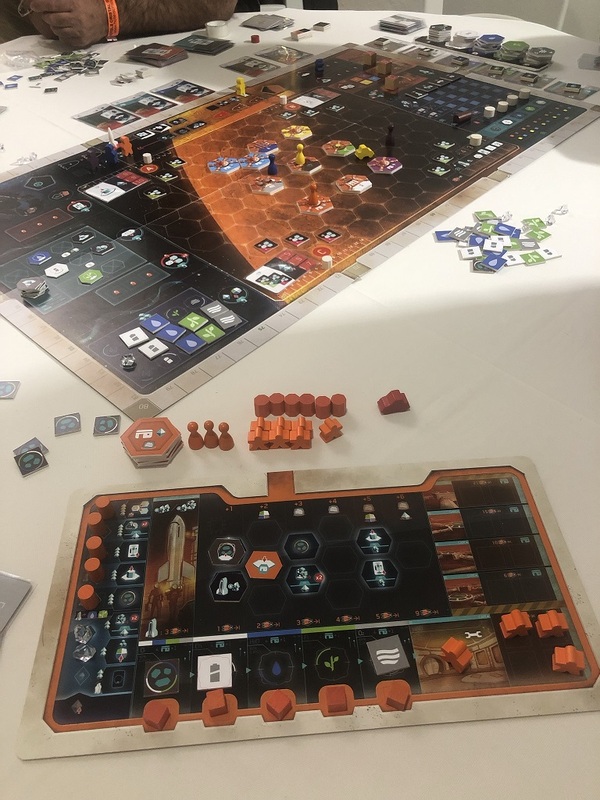 In turn order, players take one action, but they need to plan carefully; builds consume power and a second building may not be placed before a generator is upgraded. Last, all the Colony parameters are adjusted. Actions take to form of worker placement, cards, scientist tokens, and tech tiles. Examples of action might be building rovers, ships, or buildings. Sell and buy goods. Research new technologies, which your competitors might use, for a price. Buildings needs resources like ore, energy, O₂, and people to run. Food, O₂, and water also needs to be stored. As you might have gathered, building an successfull colony On Mars is not easy, but it sure sounds like alot of fun. The game WILL be on the heavy side, as in complex and advanced. We are very excited about this release and we can't wait to try it out. Meanwhile, you might want to have a look at Vital Lacerdas other titles, like Vinhos or Lisboa. Are you pumped for this one?